After a disaster at work, involving our SAN shitting itself and falling over, we invoked our DR procedures and got services back online. 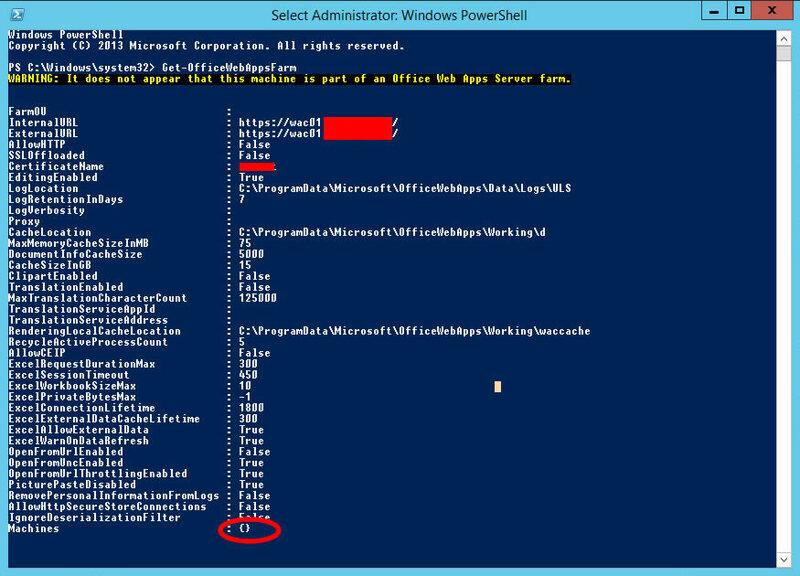 While testing the functionality of our SharePoint 2013 farm, which had a few little issues that were resolved in an hour, I noticed that Office Web Apps 2013 were not working, Giving an nondescript “Server Error”. 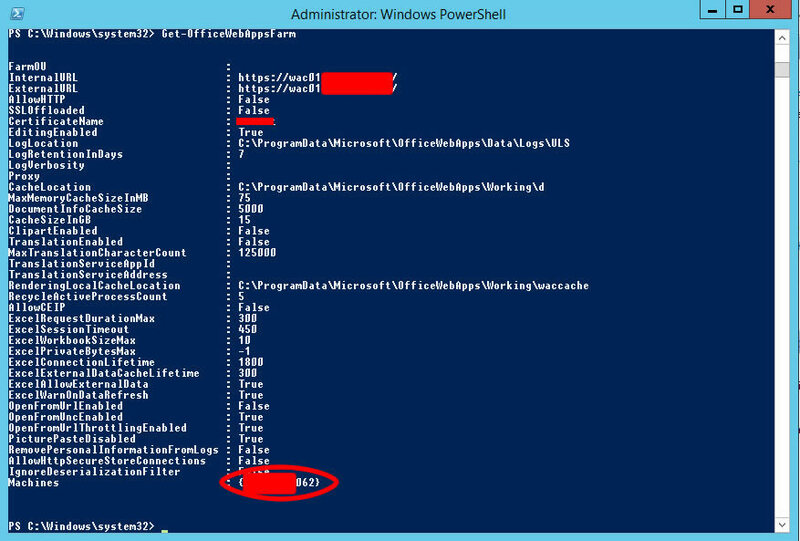 I logged onto the Web Apps Server box and ran the Get-OfficeWebAppsFarm powershell command an got the following. Notice the WARNING: It does not appear that this machine is part of an Office Web Apps Server farm message at the top? The Server was also missing from the “Machines” property of the farm. Since this was a single Office Web Apps server and not an actual farm, the easiest solution was to recreate the farm with the following command. This command grabs all necessary properties from the original farm. It also assumes you have a volume license for office and wish to enable editing. If you don’t remove -EditingEnabled from the end or suffer Microsoft’s wrath. After I executed this command the machine was listed in the farm properties and Web Apps were working once again.